Susanne climbed Africa’s highest peak, Mt. Kilimanjaro in July, 2011. Since Mt. Kilimanjaro is 5,895 meters, her goal was to raise $5,895 for Sharing to Learn in South Africa. It was an incredibly humbling experience and one Susanne will never forget. She created this thank you video to all those that supported her on the climb for this very worthy cause. The money raised went directly towards funding the operations of their Makuleke Community Library for 10 months. This goal helped her to reach the top of Mt. Kilimanjaro. 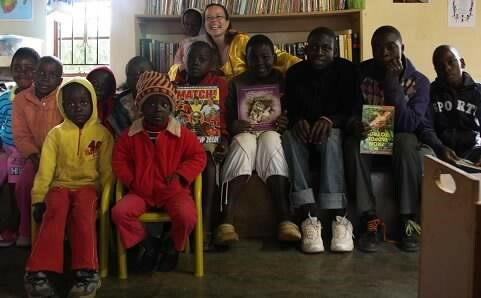 Susanne visited the Makuleke library and read from her book as Susanne, The Sunshine Faery. She also donated 15 of her books towards the library.